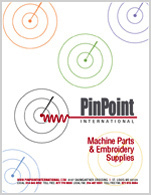 An FIP Indicator display for a Tajima embroidery machine control box. This FIP Indicator is no longer available as new and has been discontinued. This item is only available as a refurbished product.